Most of us have been there before. Your cruising down the freeway listening to a good song when all of the sudden you realize you have been on this road for what seems like too long.Your written directions advise you to get off at exit “X”, but did you already pass that exit? You drive for a bit longer before you decide that you missed it, and now must make your way back and hope you were right. Today we are taking a look at the Magellan Roadmate 2230T-LM, which will help you avoid that whole fiasco. 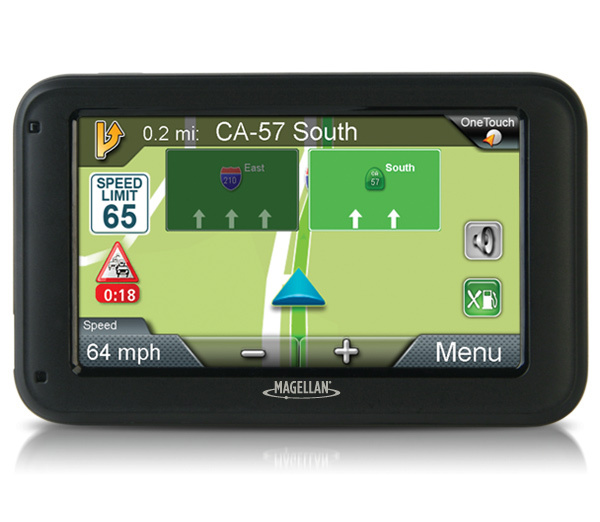 The 2230T-LM is one of seven new units released by Magellan whose new features include landmark guidance, which tells you where to turn based on landmarks nearby rather than just street names, as well as traffic camera alerts. The seven units are divided into the 22xx series with a 4.3″ screen, and the 52xx series boasting a 5″. The “T” and “LM” in the name stand for lifetime traffic alerts and lifetime map updates respectively. Read on to see if this little GPS has what it takes to stand out in this competitive market. Great… Now, I have an idea to buy this for my car. Thanks for your post. I have already Magellan product the Watch GPS one. It’s so nice, I’m comfortable wherever I am, and I’m sure this Magellan Roadmate 2230T-LM it’s also nice and really users friendly. I want to have this for my car very soon. Had 3 Garmins. 1st one died in the middle of a trip (returned), 2nd one also had iessus, (returned) 3rd one flew off dash, hit who knows what and cracked the screen (not Garmin’s fault, but they want $99 to fix ,only had for about 6 months, I guess I understand but not happy about it) Bought a new different one instead for a little more. So after nothing but problems with Garmin, I chose this one. Boots up FAST! Garmin does not. With Garmin you can drive for blocks before it catches up That is very annoying. LOVE the traffic feature on the Magellan. Gotten me out of more than one traffice jam in Chicago. Often gives more than option, how far do you want to go out of your way? The lane assist is helpful too. So far the difference in time of sitting in traffic or taking a new suggested route is less than 15 minutes or so. If you have ever sat in Chicago traffic and gone a whopping 3 miles an hour or like a parking lot, you will know how nice that is. You may spend way more time getting to your destination when you sit in traffic. The unit talks a fair amount, and tells you EXACTLY where to turn. If you have several options in a city, this is also helpful. For my money, this is a much better buy than Garmin. I think other web site owners should take this website as an model – very clean and fantastic style and design, not to mention the content. You are an expert in this area! thankx for this sites………great jobb.